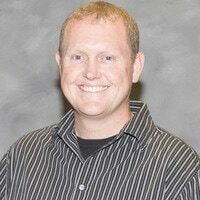 ​Ryan came to AAGW after spending 13 years in property management in both the Kansas City and Wichita areas. He graduated from Kansas State University with a B.S. in Marketing and from Columbia College with a B.S. in Accounting. His favorite aspect of working for AAGW has been working with the Board of Directors and Volunteers. When Ryan isn't working, he enjoys keeping up with his three kid's events with his wife Lisa. Ryan is our only paid staff member. All additional manpower is handled by our Board of Directors and Committee Members.